Sirius got 40s on 4!!!!!!!! Discussion in 'Jazz, Blues, Standards, Ambient' started by Tgajr, Nov 12, 2008. And it survived on XM. Hooray! That is cool SIRIUS got the 40's channel. I saw a few threads at SBS concerning them not having it. I usually listen around Christmas when they have Bing Crosby type Christmas specials. It certainly makes up for Swing Time becoming the Sinatra channel. I was a little worried about how the channel re-org would go because I had no idea what would happen. (We saw the leaked XM stuff, but there was nothing on SIRI).. I'm basically happy with the new lineup. Good pick-up for Sirius. They really didn't have anything like it. Cross your fingers... hope it stays! I wish there was a way to send a "thumbs up" to Sirius about the '40's channel. One of the reasons I signed on 4 years ago was because of the original Swing channel. They've tossed it around, renamed it, deleted it and generally treated it like dirt. I don't trust that it'll be around for a long time if it's buried amongst the Rock channels - (1-20) rather than up in the Jazz/Swing channels (70's). There's little mention of it on their website. My guess is that they'll wait until they really need channel 4 for a new rock genre and then blow off "40's on 4". I hope I'm wrong. I also hope that they can weather the financial storms. Sirius is the best money I spend even though I listen to every other form of media from AM to CD's to internet radio. I wish them huge success and more channel space for "old" radio. I found this post from 2008. Interesting and somewhat accurate perception but I credit SXM for finding a way. 40's Junction was already on when i got home a little after midnight. It took about 45 minutes before i heard the first channel id. My radio automatically switched from the old channel to the new channel but i hope all the listeners got the message about the new channel. They certainly announced it every 15 minutes on 40's on 4 for the last week. Dave was a one post wonder. I hope he knows they just moved it. Old is New Again ! - Checked my memory with Wikipedia - and found this: "Swing Street (73) - Played swing music from the 1930s, 1940s, and 1950s (dropped September 29, 2005)" . ..that wan't meant to be the logo... must drink more coffee before posting. semipenguin, MadisonRadio1 and HecticArt like this. With all of this 40's on 4 talk I tuned in for about an hour and a half today. I don't think I've listened to it in the last 3 years or so. What fun. I have to remember to listen more often. Hopefully they didn't just double! No, two listeners!! I sent an old Samsung Nexus to my grandmother for mother's day this last weekend. After an hour and half phone call I taught her how to plug it into her stereo. Oy older people. I think the 40's Junction brigade are less vocal than most. 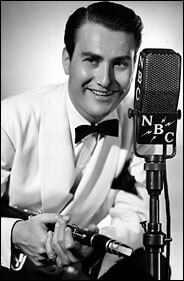 I have five kids under 25 - the eldest and the youngest -18 - aren't into the '40's - the other think its very cool - one is a big Bing Crosby fan, the other loves Artie Shaw and Benny Goodman. It's always the 'When In Doubt" preset! The Hoilday channel is suppose to start on Monday Nov 2nd on Ch.18. And more importantly it will not interrupt the 40's channel. Christmas comes early with our 2015 holiday channel line-up! Holiday Traditions (Ch. 18)Monday 11/2 at 5 pm ET- Wednesday 12/30 at 3 am ETTraditional holiday music from the ‘40s through the ‘60s by artists such as Andy Williams, Ray Conniff, Bing Crosby and Nat “King” Cole. Call Holiday Traditions on the toll-free elf line, 855-ELF-LINE (855-353-5463), or send an email to holidaytraditions@siriusxm.com. Plus find Holiday Traditions on Facebook and Twitter! Holly (Ch. 13)Monday 11/2 at 5 pm ET- Wednesday 12/30 at 3 am ETContemporary holiday music as well as traditional favorites, including songs by Kelly Clarkson, Celine Dion, Pentatonix, Mariah Carey, Josh Groban, Trans-Siberian Orchestra and Idina Menzel. Holly is also a year round online channel on (Ch. 781). Holiday Pops (Ch. 76)Thursday 12/24 at 12 pm ET- Saturday 12/26 at 3 am ETClassical Christmas carols and other holiday favorites by the greatest classical musicians of all-time, including the Mormon Tabernacle Choir, Boston Pops, Luciano Pavarotti, The New York Philharmonic, King’s College Choir and Thomas Hampson. Acoustic holiday songs from singer songwriters like Jack Johnson, Norah Jones, James Taylor, Indigo Girls, Shawn Colvin, Tori Amos, Jewel, Jason Mraz and many more. A mix of country Christmas music from contemporary and classic country artists like Garth Brooks, Carrie Underwood and Willie Nelson along with celebrity Guest DJ’s such as Kenny Rogers and LeAnn Rimes picking the music and sharing personal memories. Navidad (Ch. 785)Monday 11/30 at 5 pm ET- Thursday 1/7 at 3 am ETContemporary Latin holiday music and with traditional classics, including Jose Feliciano, Willie Colon, Gloria Estefan, Marco Antonio Solis, El Gran Combo and Thalia. Holiday Soul (Ch. 49)Friday 12/18 at 5 pm ET- Saturday 12/26 at 3 am ETClassic soul and Motown holiday music from the ‘60s and ‘70s as well as R&B from the ‘80s and ‘90s including Whitney Houston, Aretha Franklin, Michael Jackson, Luther Vandross, Smokey Robinson & The Miracles, Dionne Warwick, The Four Tops, The Supremes, The O’Jays, James Brown, The Temptations, Lou Rawls and Toni Braxton. Radio Hanukkah (Ch. 68)Sunday 12/6 at 12 pm ET- Tuesday 12/15 at 3 am ETA wide variety of Hanukkah music including contemporary, traditional and children’s Hanukkah classics. The ultimate soundtrack to New Year’s Eve parties around the country and will feature the biggest, upbeat party hits from genres across SiriusXM’s music platform. MadisonRadio1 and Aaron like this. the listeners to get confused what channel is which. Now were having our Indian Summer here and with SXM starting the Holiday channel a week earlier, this is the first time I was clearing out the garden, in t shirt and shorts, listening to the Holiday channel.